Renders have been revealed of what the Foster + Partners design for the Waldorf Astoria hotel in San Francisco could look like. Located in the South of Market (SoMa) district of the city, the building will sit on Mission Street between 1st and Eckert streets. The 21-story tower will also lie next to the Oceanwide Center tower designed by the British architecture firm, due to break ground in November this year. The tower is part of a two million-square-foot complex that will boast retail and spaces, the interiors of which—and indeed the whole interior of the building—will be designed by Santa Monica–based hospitality design firm Hirsch Bedner Associates. John Vanderslice, global head of luxury and lifestyle brands at Hilton Worldwide (the firm that manages Waldorf hotels), told Condé Nast Traveler that “San Francisco needed a proper luxury hotel.” He went on to say that the “project is ground zero for luxury there” adding how the hotel will have “north of 250” rooms with a quarter of these being suites. Numerous restaurants are also due to be included in the programming of the scheme however, no mockups have yet been proposed with no chefs currently named either. The project will also be one of cluster from Foster + Partners in the vicinity. In 2014, the firm proposed a coterie of high-rises for the area and planning permission was granted this year. 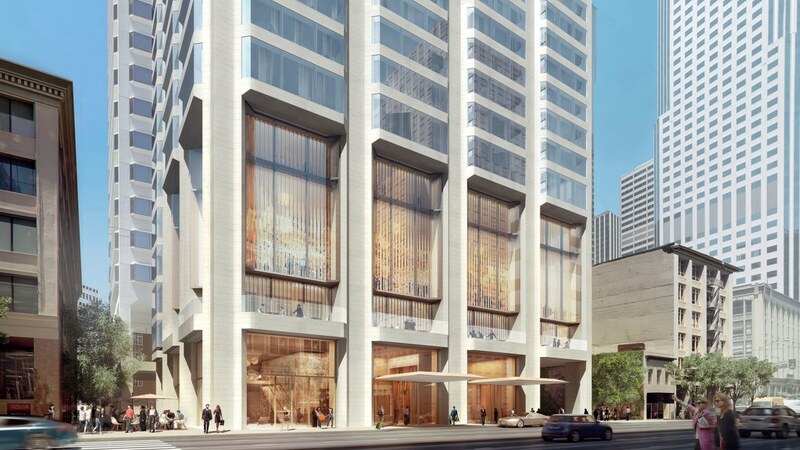 The building will also become San Francisco’s second tallest tower, behind the Salesforce Tower. 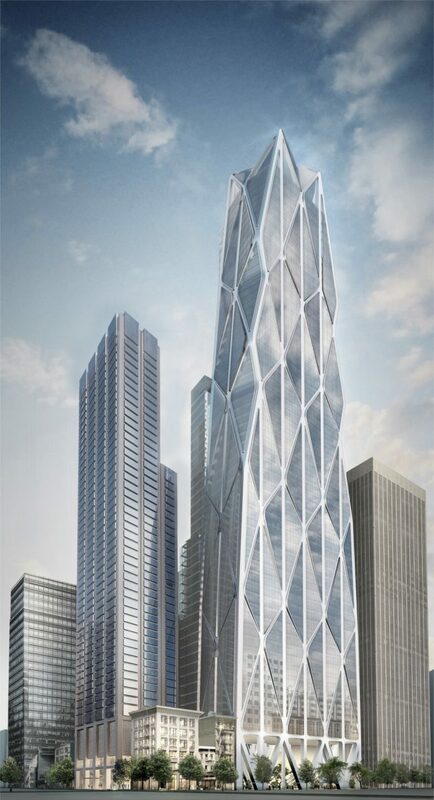 Meanwhile, rising to 905 feet, the tallest of the group will be located on 50 1st Street and contain 34 stories, with offices on 19 plus 111 residential units. Another tower, due to be 300 feet shorter, will offer 169 hotel rooms with 154 units being housed in the top 33 floors.